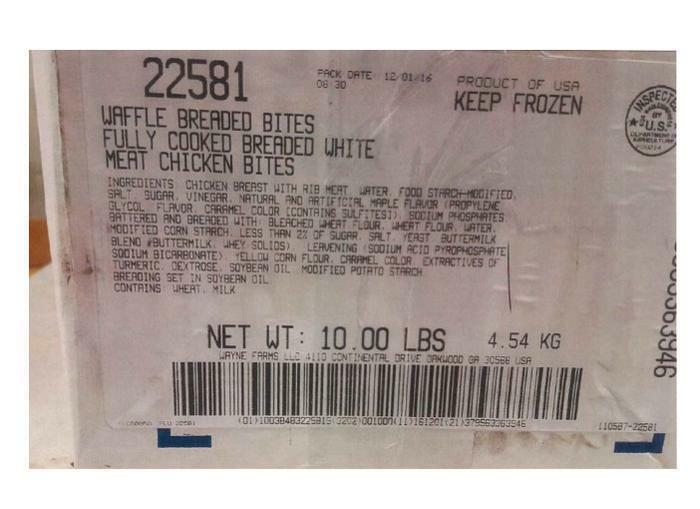 Wayne Farms of Decatur, Ala., is recalling approximately 12,610 pounds of ready-to-eat chicken products. A potential processing defect may have resulted in the potential survival of bacterial pathogens in the products. There have been no confirmed reports of illness or injury due to consumption of these products. The recalled products, bear establishment number “P-20214” inside the USDA mark of inspection, were shipped to Food Lion stores in Delaware, Georgia, Kentucky, Maryland, North Carolina, Pennsylvania, South Carolina, Tennessee, Virginia and West Virginia. Consumers with questions about the recall may contact Alan Sterling of Wayne Farms at 678-450-3092.